Marketing to Women: Is Nail Polish the New Economic Index? As I sit here pondering the relative merits of having green nail polish on my nails, I happened across this interesting new tidbit of information from our Great Recession. 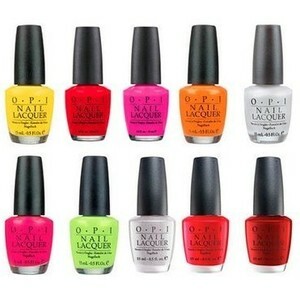 It seems that nail polish sales soared in 2010, up 13.7 percent over the prior year. Could it be that the Lipstick Index has become the Nail Polish Index? In 2009, in the midst of the recession, lipstick sales actually declined, while nail polish sales soared. Why is that? Some beauty experts point to a multitude of new product launches, a shift from salon visits to at-home applications and the explosion of new colors on the scene. And it seems that we are buying more of our beauty products in mass merchants, discount stores and through direct sales. Fashion houses have made nail polish couture as well, with knock-offs available at your local Walgreen’s. Take Katie Dunham, a millennial fashionista, as an example. She has so many bargain nail polishes in every color from purple to green, she needed a professional lucite display to hold them all. A $5 polish is a quick way to boost your spirits and add some fun to outfit. A competitive jobs market also seems to have brought the need for a professional appearance back into focus. Having well-groomed nails plays a role in projecting a positive image to others. A London study showed three-quarters of women and half of men believe chipped or bitten nails create a bad overall impression. What’s the marketing message? Innovation (think green, yellow, blue and crackled polish), low prices and little luxuries that lift our spirits are more resilient in times of economic downturns. Turns out, we like our lipsticks in pinks and reds, not offering the chance to expand the category. Also, it seems that Revlon went out on limb and spent his entire advertising budget ($335.36) for an ad in The New Yorker to boost sales for his fledgling product. New products need an appropriate media push to succeed. What are some of the new colors for Fall 2011: Sapphire, copper, grey and iridescent green! § 2 Responses to Marketing to Women: Is Nail Polish the New Economic Index? Nail polish may or may not be the new economic indicator but it sure has become a lot more fun over the past few years. There’s a lot less red and pink and a lot more yellow, blue, purple and “Dove” — especially for younger women. I’m loving my current color: cerulian. Maybe we should all sport “Dove” for 9/11! « Daily Deal Marketing: The Rise and Fall of Groupon? You are currently reading Marketing to Women: Is Nail Polish the New Economic Index? at The Lipstick Economy.